Looking for a great place to get away from it all? 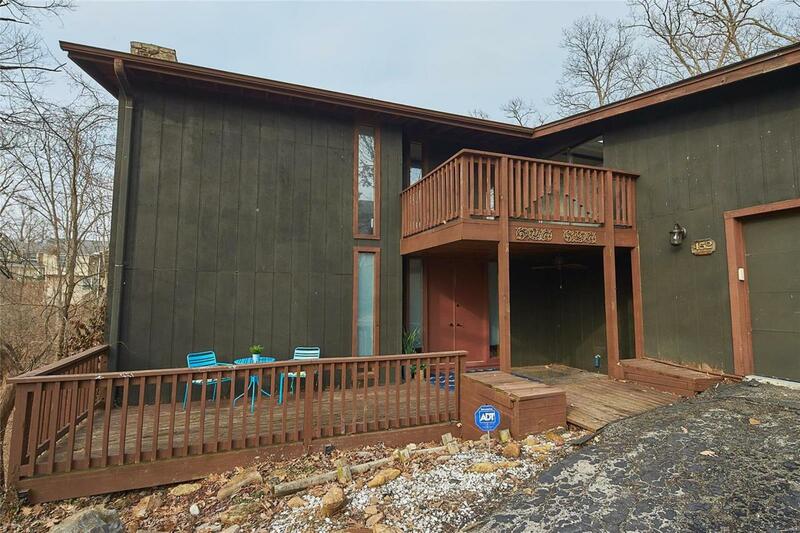 This four bedroom home in Lake St. Louis is sure to please! 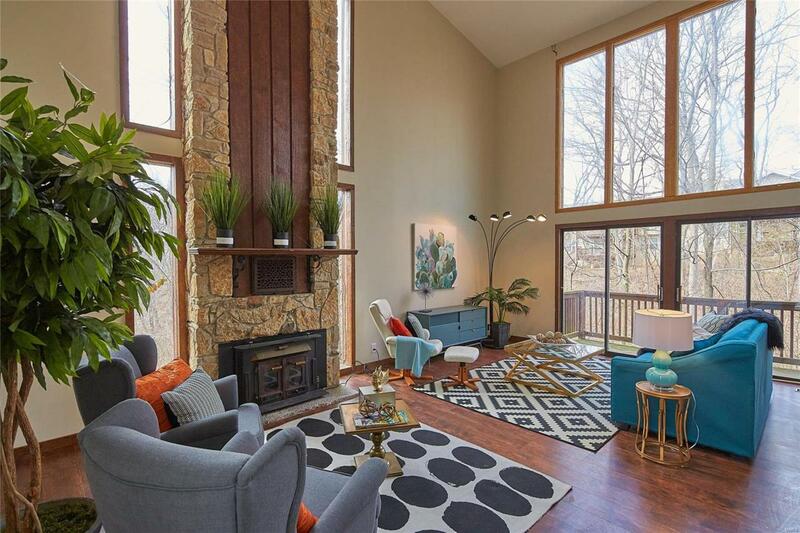 The home opens to a spacious great room featuring vaulted ceilings, large windows and a stunning stone floor to ceiling fireplace as the main focal point. The updated kitchen boasts plenty of cabinet space, granite counter tops and stainless steel appliances. A den, main floor laundry room and powder room completes this level. Upstairs the master suite features a full bath, versatile sitting room with private deck access and loft area. The lower level offers three bedrooms with plenty of closet space, one with an en suite bath, and an additional full bath. 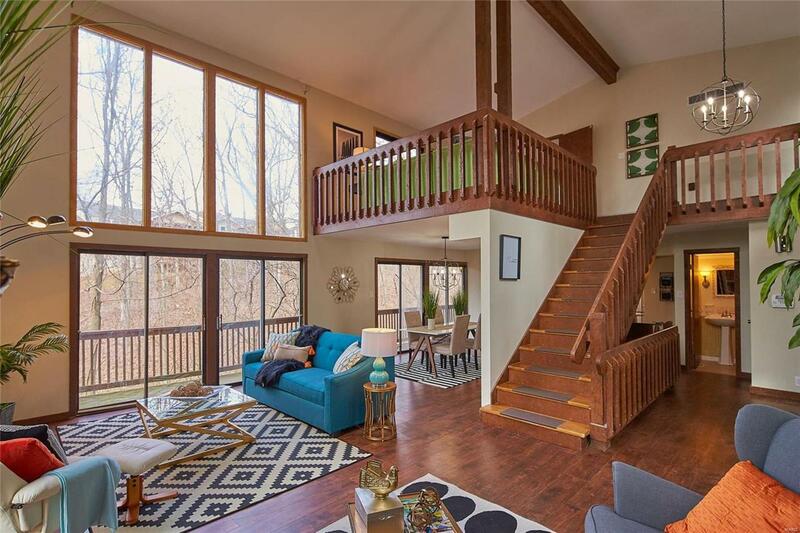 The lower level also creates prime entertainment space with a large recreation room and bar. Outdoors the multi level decks take in the view of the secluded setting. The over sized garage with work shop only adds to the appeal of this home. 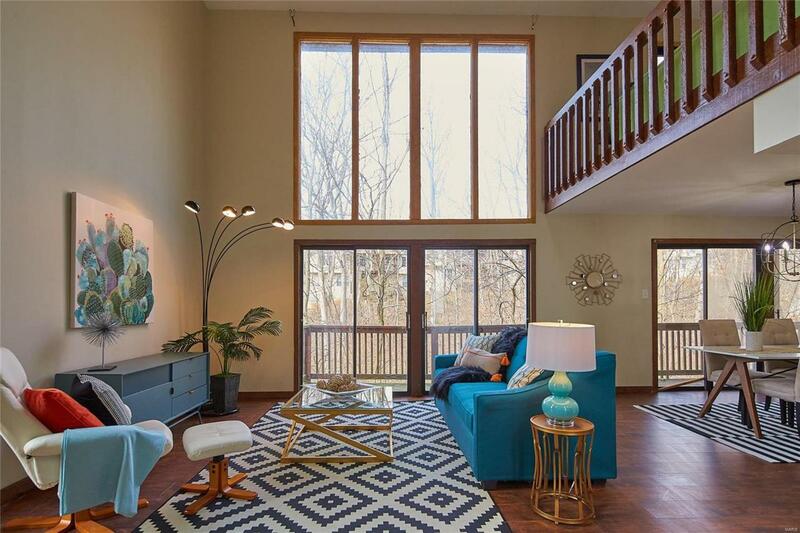 Amenities include lake rights, golf courses, tennis courts and swimming pools.